MTS India announced that it has expanded its mobile services to four new districts – Mallappuram, Kannur, Kasargod and Kottayam in the state of Kerala. The expansion has extended the reach of MTS in the State to 10 key districts. 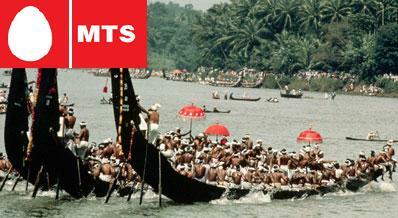 MTS will be present in over 300 towns of Kerala by June-end, and by July it will extend its services to almost 400 towns. The company has launched the exciting MSaver 51 card, to commemorate the occasion the revolutionary MSaver 51 card, gives customers the opportunity to make local calls to off-net mobiles and fixed phones for just 49 paise/min. The tariff plan which comes with lifelong validity also eliminates the need for monthly special tariff vouchers for off-net calling. SSTL provides mobile telephony services in Kerala under its globally recognised MTS brand. MTS has a base of about 100 million subscribers, present worldwide. It has rapidly expanded its coverage in Kerala, since its recent launch in the State, on March 30.“The MSaver 51 will cater to the needs of individual customers who are looking forward to low off-net calling,” added Mr Srinirao Saripalli, Chief Operating Officer, Kerala & Tamil Nadu, Sistema Shyam TeleServices. Fully satisfied with MTS. But many key rural towns are not under our coverage. New comers are anead only with their ads, but we are ahead with customers like me. Really…What are they trying to prove?